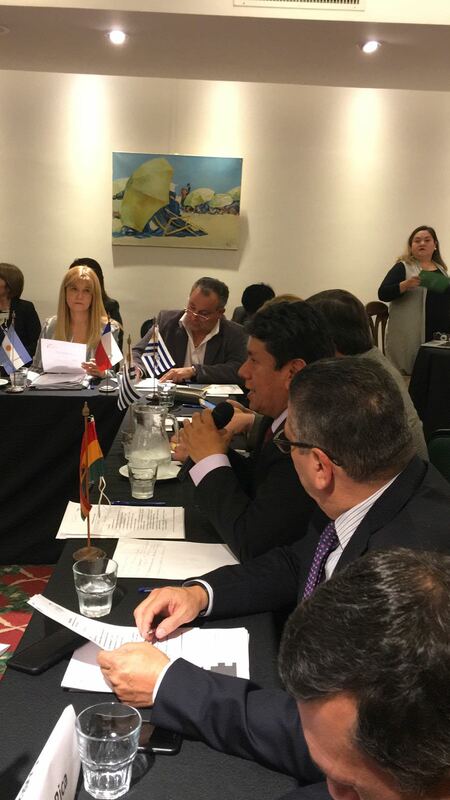 The XII Hemispheric Summit of Mayors took place from 29 to 31 August in Punta del Este, Uruguay. The summit, convened by the Latin American Federation of Cities, Municipalities and Municipal Associations (FLACMA) and the Congress of Mayors (Congreso de Intendentes), had more than 2500 participants and the active presence of most of the associations of municipalities in the continent, organizations and institutions, including the representation of Mercociudades, UCCI, the Federation of Canadian Municipalities (FCM) and the Association for the Friendship of the Chinese People. The Summit of Mayors began on August 29th with the FLACMA Executive Bureau and the Assembly where the Federation's new statutes were approved, as well as 14 working commissions that will contribute to the development of a strategic plan that will facilitate a real impact on public policies in Latin America. In this regard, the President of FLACMA and Mayor of Sucre, Iván Arciénega highlighted both the importance of institutional renewal to drive the Federation forward where associations of municipalities from the continent converge, and affirmed the importance of strengthening ties with the World Organisation UCLG to strengthen the international voice and impact on the global goals, in particular the Sustainable Development Goals (SDGs). The President highlighted the decline in decentralization, the lack of adequate resources and corruption as common enemies of continental municipalism and as barriers to overcoming the inequalities that characterize the region's societies.The presence of the Secretary General of UCLG, Emilia Saiz, reinforced this idea stressing, "FLACMA is a very solid piece of Latin American municipalism for the cohesion of the municipalist movement". In her speech, she stressed her commitment to strengthen the Federation's presence in the global movement and the union of the Latin American voice within the framework of the CORDIAL mechanism (Latin American Coordination). The Secretary General of UCLG called for the unity of the Latin American networks in order to face the challenges of cities and national associations in the coming years both at the regional and global level. 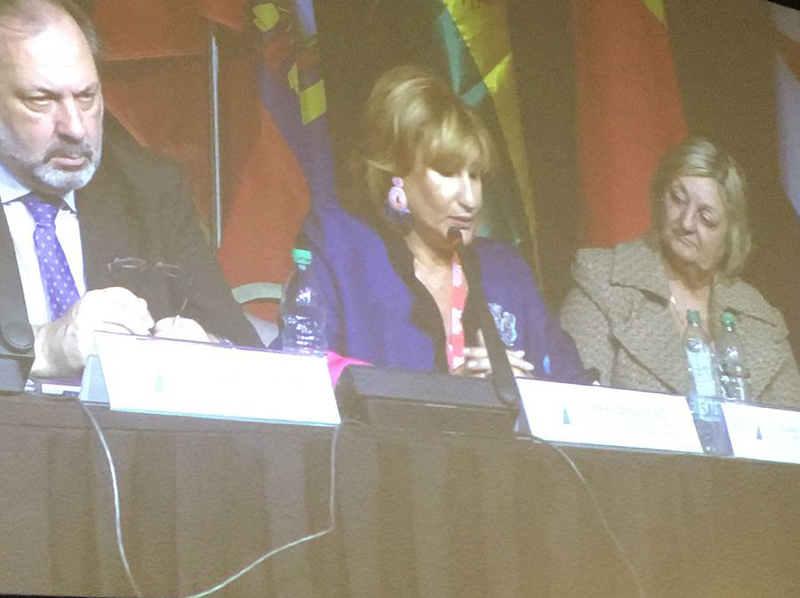 For her part, Emilia Saiz, Secretary General of the World Organization was invited to address the Executive Bureau and the Opening Session and highlighted the foundational role of FLACMA members in the global movement “FLACMA is a very solid piece of Latin American municipalism and vital for the cohesion of the municipalist movement". In her speech, she stressed her commitment to strengthening the presence of the continent and consolidating the coordination of the membership in framework of the CORDIAL mechanism (Latin American Coordination). The Secretary General of UCLG called for the municipalist unity in order to advance a common agenda in the region. Johnny Araya, Mayor of San José and Co-President of UCCI, stressed the importance of strengthening the voices of the region's integration mechanisms, such as the Organization of the American States (OAS), Economic Commission for Latin America and the Caribbean (CEPAL) and the Ibero-American Summit. Daniel Martínez, Mayor of Montevideo and Vice-President of Mercociudades stressed the ability of municipal action to address the needs of the citizens and highlighted the importance of building together a continental strategy and discourse. At the closing session, FLACMA's Executive Secretary, Sergio Arrendondo, recalled the importance of "calling for a responsible but energetic mobilization to build a harmonious and competitive political relationship between the three orders of government, local, municipal and national, accompanied by governors, as we are living here with their presence to bring together local and municipal agendas”. The Summit culminated with the adoption of the Punta del Este Declaration (available in Spanish) sthat highlights the commitment to work towards the economic, commercial and cultural integration of the 33 countries in order to overcome inequalities, specially the gender gap and poverty, and convinced that the values of the region's rich millenarian culture are far superior to the challenges to be faced. The summit closed by reminding participants of the next meeting that will take place during March 2019 in Santiago, Chile.